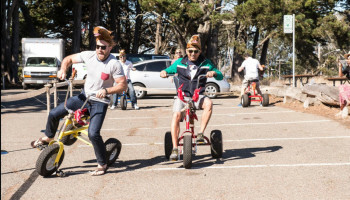 Are you up to the challenge of racing your friends on the Wacky Tricycle Racing? A bead of perspiration rolls down your forehead as you maneuver your trike past your number one opponent. He glances over at you, and then returns to his feverish attempts at blocking your path. You dodge, swerving down the track; losing control, your tricycle (with you attached!) flies off the track, sending your racing career to a premature end! Monster racing at its best! This is great for corporate events, company gatherings, Olympics themed event or any event where physical competition is appreciated. Space requirements: 50′ x 35′ x 10′ high area for set up. 50′ x 35′ inflatable track. 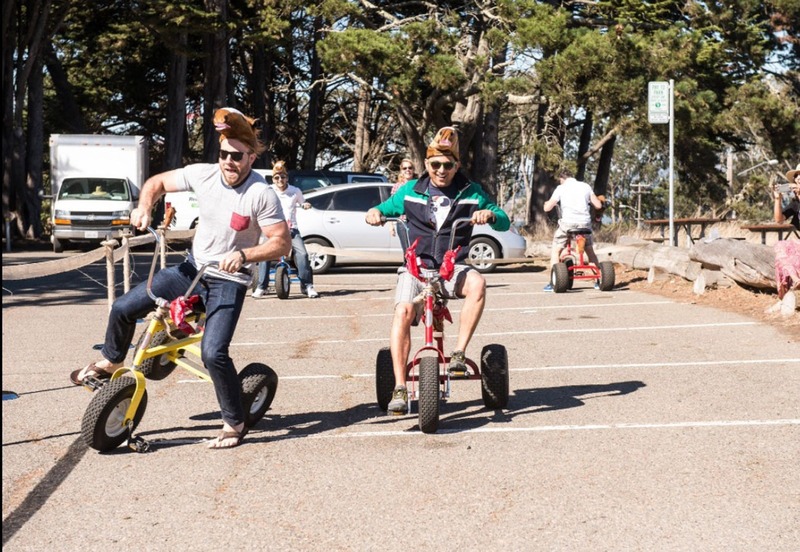 Includes 3 Giant Tricycles (each trike can hold a 250 pound adult who’s up to 6′ 6″ tall).